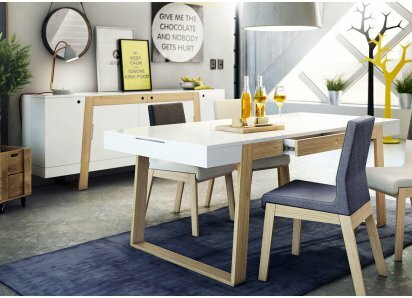 Oak/White Foil Finish: The light colored Portofino oak structured finish foil veneer, with a panel of white glossy melamine for contrast, adds style and color to your living/dining space! 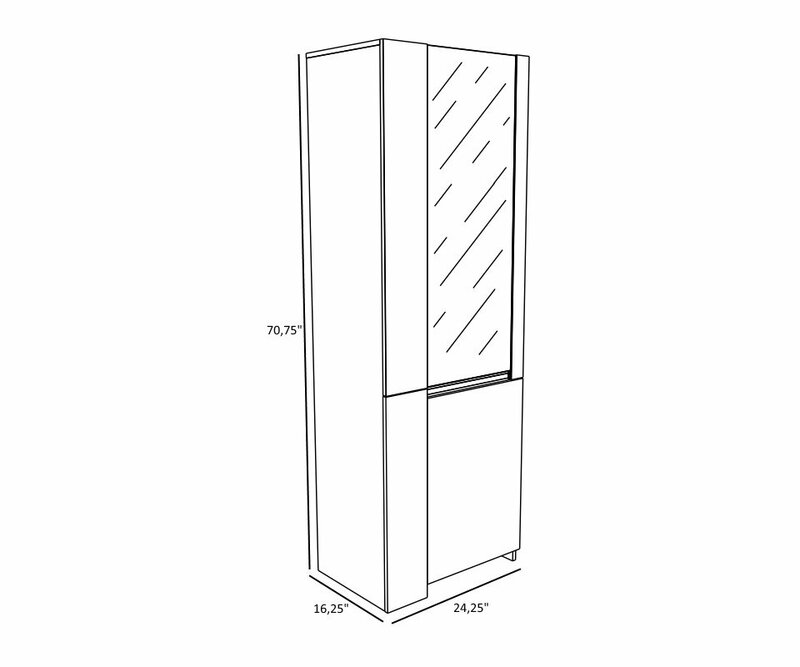 High-Quality Manufacturing: Crafted from top quality particleboard, this display cabinet is sturdy and won’t warp or split. 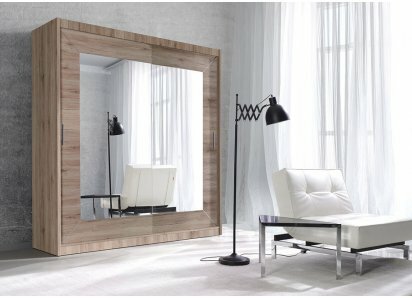 It’s covered with structured finish foil veneer that protects the wood from stains, scratches, or water rings. 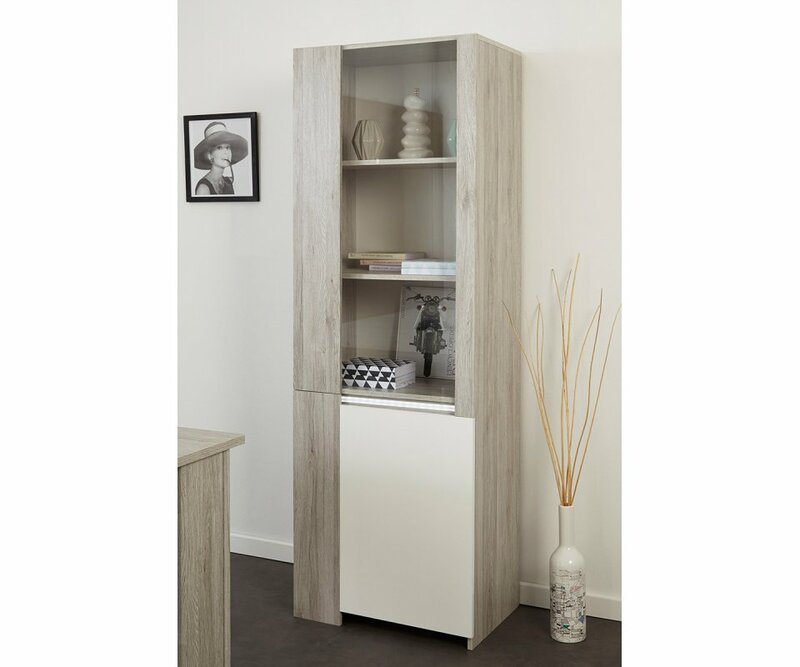 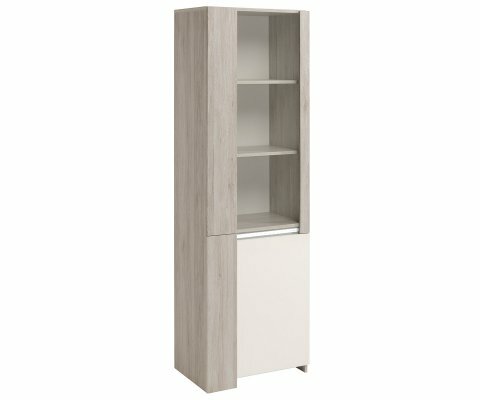 Contemporary Display/Storage Piece: Light, natural Portofino oak finish foil cabinet with a panel of glossy white melamine creates interest and dimension in this contemporary display cabinet. 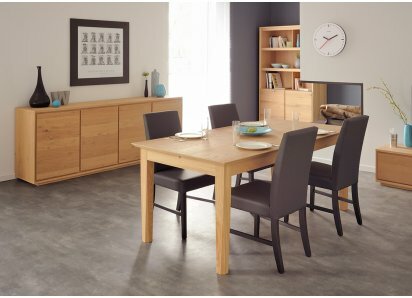 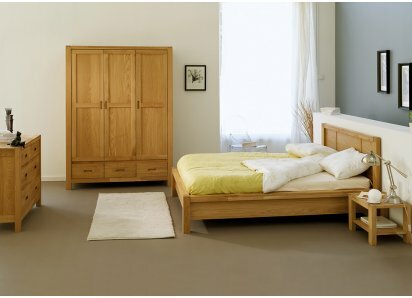 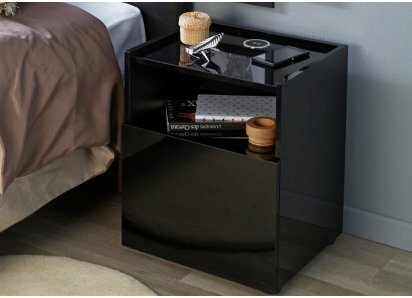 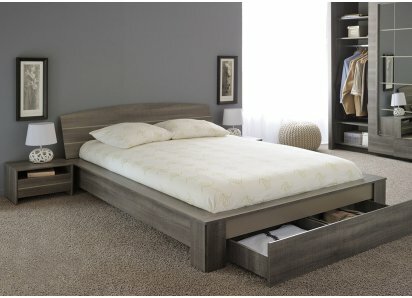 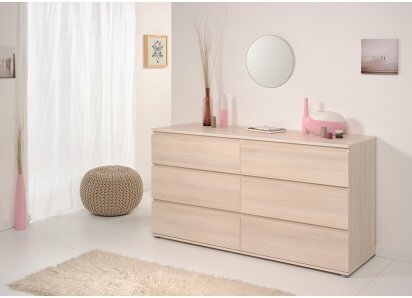 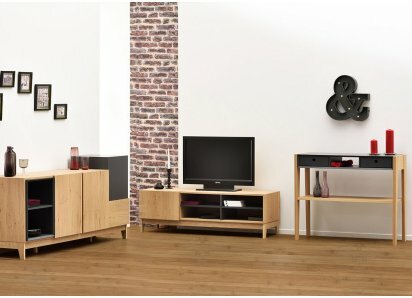 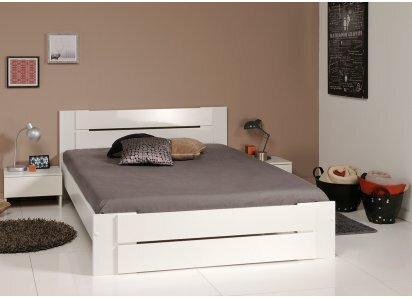 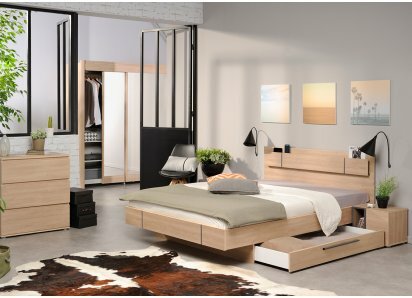 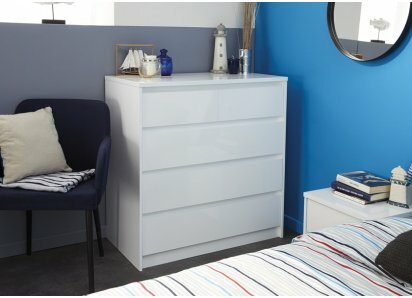 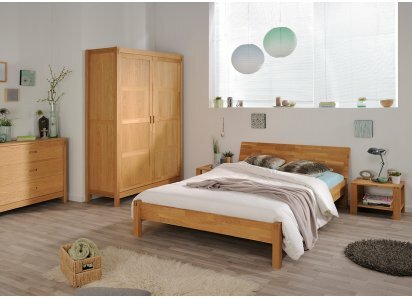 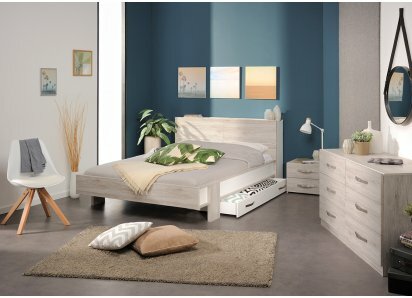 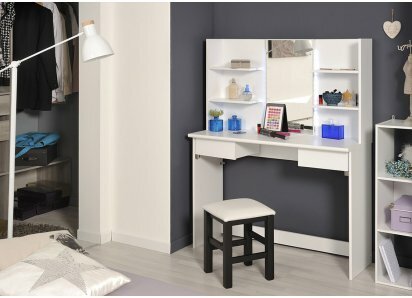 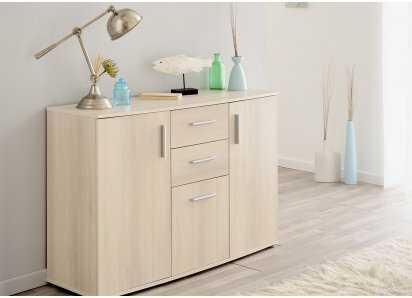 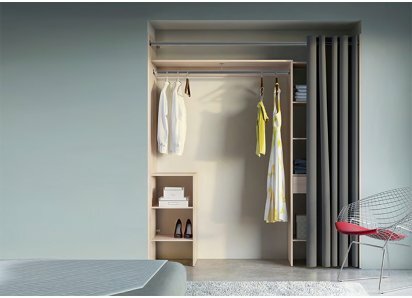 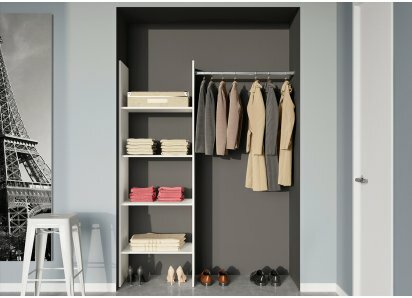 It’s dramatic on its own, and even better paired with other Luneo pieces to make a wall of storage, function and beauty! 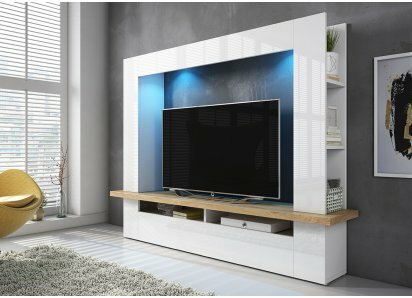 LED Lighting: A band of LED lights creates backlit ambient lighting that highlights your collectibles and décor accessories. 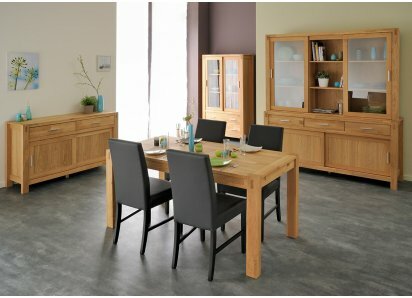 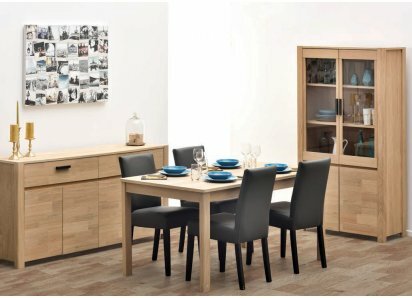 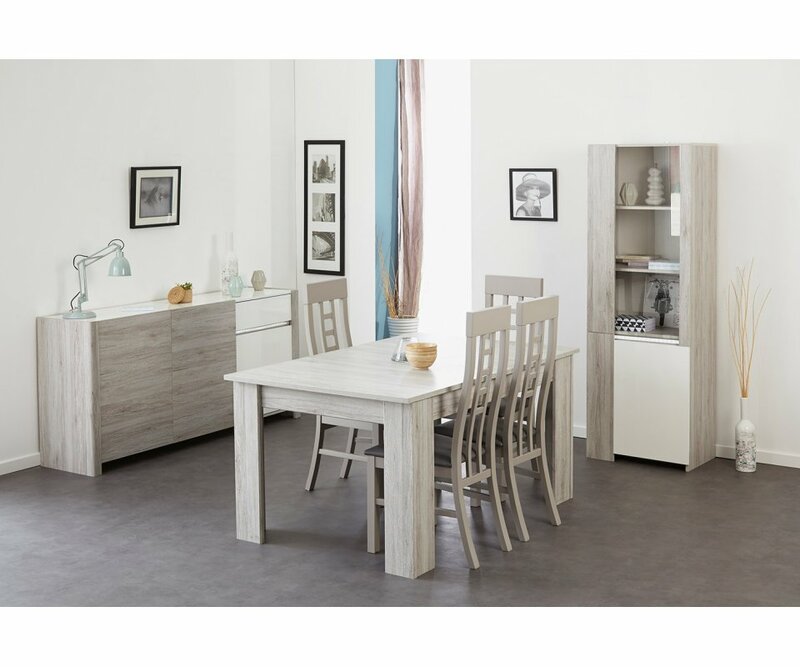 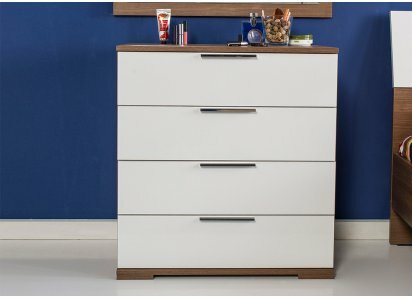 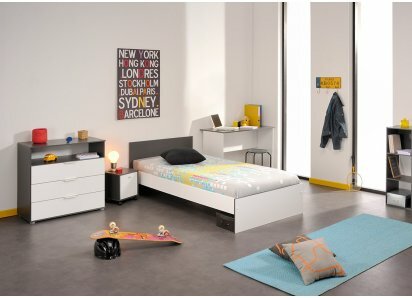 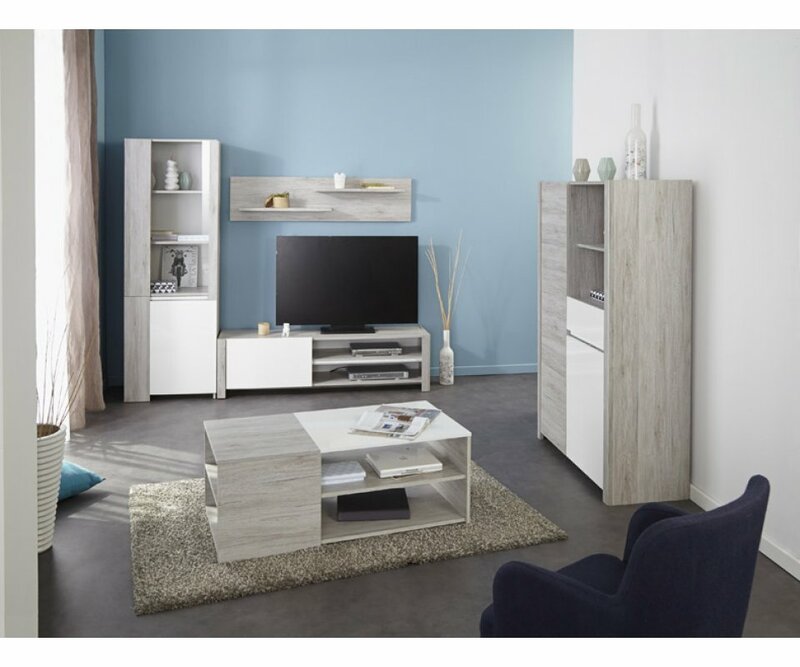 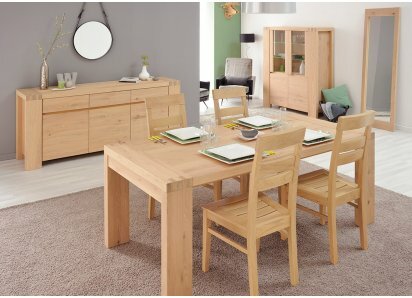 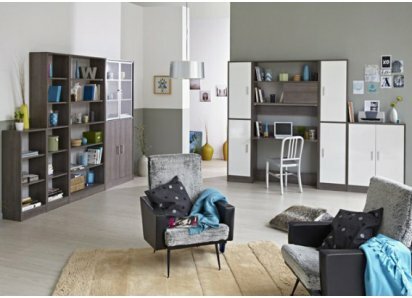 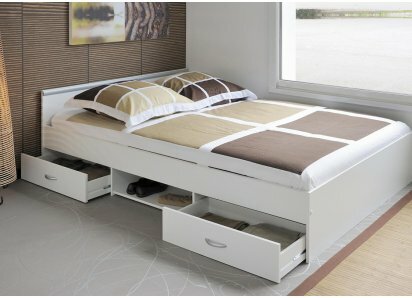 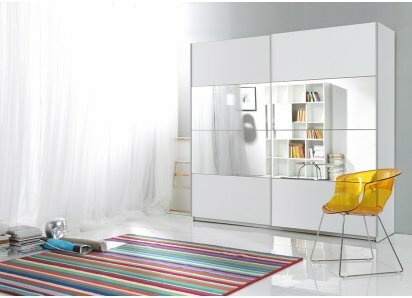 Eco-Friendly Product: Made in France by the Parisot Company, your cabinet is an eco-friendly product. 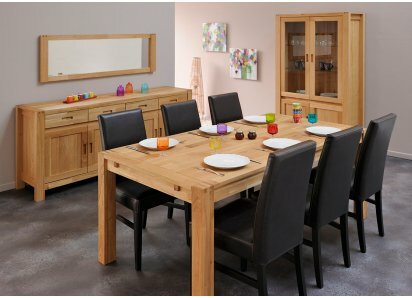 It’s made from only eco-managed forest wood sources, and processed with low solvent emissions, and even packaged with low-waste materials!. 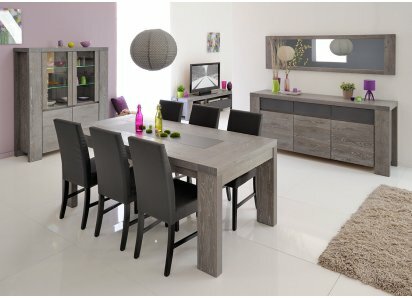 High-Quality Materials: The Luneo TV table is made from top quality particleboard under a foil finish veneer that protects your table from scratches, nicks, stains and water rings.Two-Tone Color Finish: Light Portofino woodgrain foil finish veneer and glossy white melamine create a light, airy look..
Sturdy and Strong: Manufactured from top-grade particleboard, with a beautiful, protective veneer that is resistant to nicks, scratches, stains and water damage.Portofino Oak Structured Finish Foil: Light, natural shade of oak woodgrain finish foil is a contemporary neutral shade that will visually..